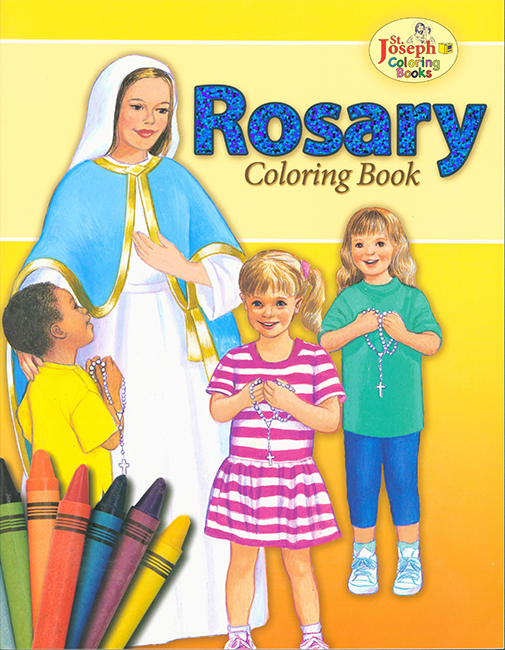 St. Joseph Coloring Book is a fun and creative way for children to learn about the Mysteries of the Rosary. Adapted from the picture book The Holy Rosary by Father Lawrence G. Lovasik S.V.D. and illustrated by Emma C. McKean. Full page black and white illustrations and text. Imprimatur. 1981 Copyright, though it has been updated in 2013 to include a page on the Luminous Mysteries. 8.5 x 11 inches. Soft Cover. 32 pp. This book is also sold as part of the Kindergarten Coloring Book Set , which offers a savings over purchasing the 3 books separately.